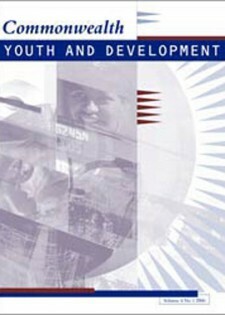 Commonwealth Youth and Development was first published in 2003. It is a multidisciplinary biannual publication that seeks to promote understanding of, and impetus for, the empowerment of youth that will enable them to play a crucial and constructive role in the development of their communities. It recognises the importance of youth and youth workers in developing countries and seeks to promote the professionalisation of youth work. The journal publishes research and writing by academics and practitioners working in the field of youth and development, providing a platform for rigorous debate about policies, programmes and processes. Contributions should focus on the developing world and may have an international, regional or national focus. The journal is aimed at students, academics, practitioners and policy makers and welcomes contributions in the form of research findings, work-in-progress, notes from the field, case studies, interviews and book reviews. Comparative studies that will inform the development actions of countries of the Commonwealth are encouraged.